Well, we bought a Fernwood house assessed at 530K in November for around 570. With the house 3 streets over selling for 350K over assessed and others in the neighbourhood going for 150-200 more than assessed I feel extremely lucky. Meanwhile in my building, one condo assessed at $230,200 just sold for $233,000, or $4,000 under asking after 13 days on the market. Another unit assessed for $243,200 and listed for $259,000 remains on the market for 43 days. 5 of 27 suites are allowed to be rented, currently 4 are rented. Just sit quietly with your hands folded in your lap. Yep. Those kinds of restrictions make sales tough. And trying to get that message across here is like talking to a brick wall. I'm on the strata and also sit on our recently formed bylaw review committee. Some of the justifications for the status-quo are real head-scratchers. We're lucky to have 5 rentals. It almost went down to 3 several years ago when it dropped from 9. How in the world are you able to post so many great items on VV? Do you have one of them thar fancy automated "voice to typing" programs? Showings signs of craziness too. #10 – 2828 Shelbourne, 1996 built townhome, sold for $554,000. Purchased in 2011 for $475,000. #910 – 728 Yates, 1 year old studio with no parking, sold for $338,000. Pre-sale price would have been around $220ish including GST. $338 for a studio is pretty nuts. Fair to say someone get a little too excited? Not sure I want this person as my realtor. 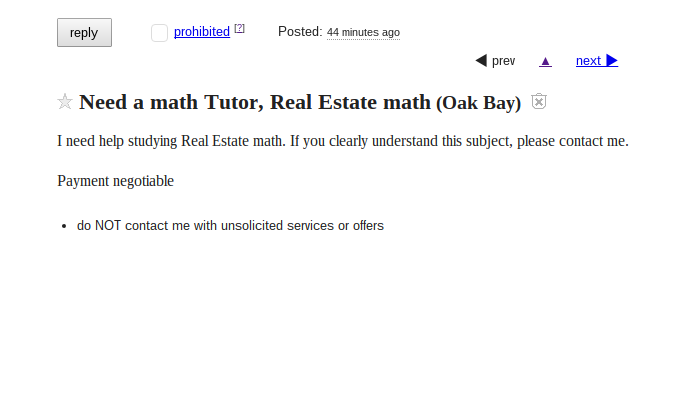 "Real estate math" is not too tough. doubtful that's a realtor. Perhaps someone who needs help crunching numbers on affordability or return on a rental or something like that.